Researchers from Ohio State University aim to exploit the unique molecular properties of the common ivy plant to boost adhesive technologies in wound healing. The study began, in part, as a quest to find bioadhesives that could aid in wound healing after injury or surgery--but soon evolved into a complete exploration of the tiny particles responsible for one of nature's most vigorously determined grippers, the English ivy plant. These remarkable plants latch onto trees and buildings, exhibiting enormous amounts of strength and grip as they survive some of the most powerful forces of nature, such as hurricanes and tornadoes. Yujian Huang, a graduate student at Ohio State University and lead author on the work, says that the study is an improvement on understanding the potential of adhesive properties in nature, and as the study moves forward, could be used as a platform for biomedical solutions. "In the near future, we will try to utilize what we have learned from nature to develop bioinspired adhesive materials for biomedical application," he says. 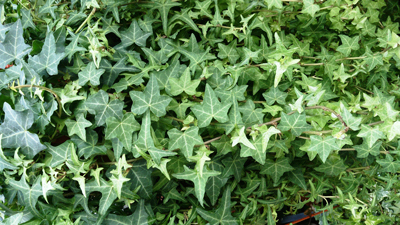 "The ivy-derived adhesive composites and the overall principles uncovered from the English ivy will serve as templates to guide the design of diverse, functional biomaterials with adhesive properties for specific clinical exploration--involving wound healing, cardiac tissue engineering, drug delivery, and many others." Don't miss the Minnesota Medtech Week conference and expo, September 21-22, 2016, in Minneapolis. Huang says their study has really improved the understanding of the mechanisms that control high-strength adhesion of botanic mucilage, which is one of nature's strongest glues. The group believes that these newly uncovered principles could be applied to generate novel engineered glues for the adhesive industry. "This study reveals the importance of spherical nanoparticles in driving the production of strong adhesion strength within the bioadhesive," Huang says. "This fact implies that analogous concept may be implemented throughout the development of polymeric glues. In other words, we may improve our technologies by fabricating spherical nanoparticles consisting of conventional polymers while preparing the engineered commercial glues." For years researchers have been exploring nature for clues that could inspire more powerful adhesive properties. In 2014, researchers from Stanford University created adhesive grips inspired from the sticky feet of geckos, a study designed to enhance the grip of robotic arms in manufacturing and in space. Huang says their study isn't the first of its kind, as the quest for understanding adhesion in nature is one that draws as far back as Darwin. "For many years people have realized the potential benefits to understand and utilize the adhesive properties of natural systems for engineering innovation," Huang says. "In 1876 Charles Darwin reported that ivy rootlets secreted yellowish matter while climbing surfaces, and that a single ivy adhesive disc could support a weight of two pounds, even though the weight of the disc itself was only about 0.5 mg. Our group first discovered spherical organic nanoparticles embedded in the mucilage exuded by English ivy. More importantly, we evidenced that these nanoparticles exert vital roles in supporting the generation of strong adhesion strength within the ivy adhesive by means of biochemical reaction and mechanical strategies." As their study moves forward, Huang says that there are still plenty of questions to answer when it comes to understanding the mechanical properties of the ivy plant, and learning how to translate those properties to enhance our own adhesive technologies. "By further identifying the proportions of the nanoparticles and other polysaccharide-based biopolymers, it may shed a light on how to construct the ideal adhesive composites during the manufacturing, since nature always offers us the optimal candidate for inspiration."